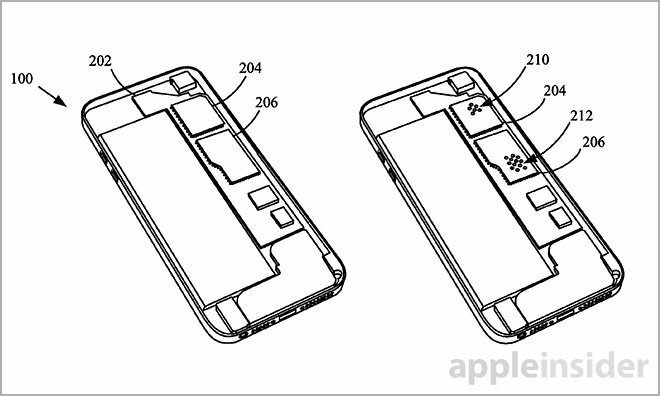 A U.S. patent application published on Thursday reveals Apple is actively researching ways to make its products resistant to moisture, a feature sometimes attributed to "active" smartphone models marketed by competing smartphone manufacturers. 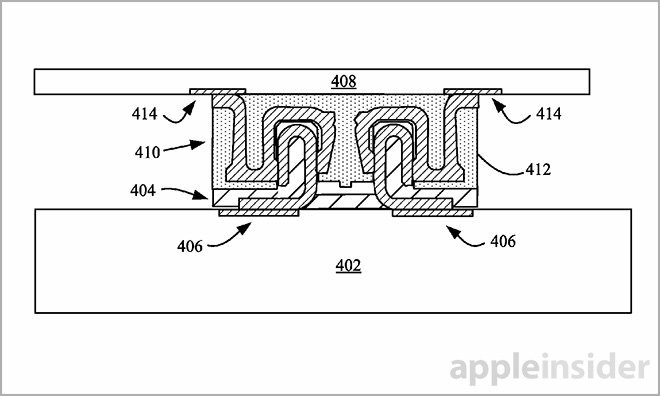 As published by the U.S. Patent and Trademark Office, Apple's filing for "Methods for shielding electronic components from moisture" outlines a process for coating sensitive device components using advanced vapor deposition technology and protecting solder leads with silicone seals. As described by Apple, the PACVD process involves charging the surface of a given substrate, in this case a device's PCB, before placing the device in a vacuum chamber filled with a fluoropolymer gas. When a voltage is applied to the gas, it turns into plasma and ultimately settles on and adheres to the charged substrate. According to the application, the layer can be between one and ten microns thick, a plus for small form factor portable devices with little internal room to spare. The process can be used to coat exposed surfaces on fully assembled devices, but internal structures like electromagnetic interference (EMI) shielding might restrict deposition on critical components. This shielding is necessary for almost all Apple products and can be found in iPhones, iPads, MacBooks and more. To overcome this obstacle, the document suggests small openings be disposed in the EMI shield, just above sensitive electrical components located on the PCB. In some cases, the holes can be made large enough to let plasma in, but small enough to restrict passage of EMI, keeping the cage's integrity intact. Other embodiments provide for larger openings in the EMI shield. In these cases, the perimeter around an opening can be masked with tape during the PACVD process. Removing the mask and covering the opening with a metal tape patch —in electrical contact with the unmasked shield portion —restores the cage's protective properties. Other components susceptible to water damage are board-to-board connectors left uncoated. The document specifically notes that solder leads can protrude out of a connector's fitting, opening it up to corrosion and short circuit events. To prevent the leads from moisture ingress, silicone seals can be applied to the receptacle side of a given connector and mating flex cables. 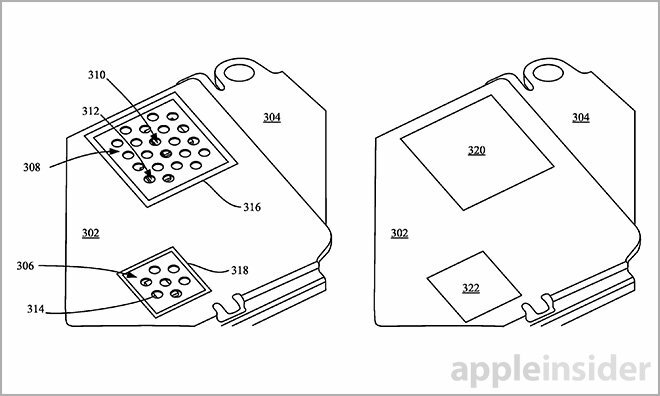 It is unclear if Apple will employ more aggressive moisture protection in future products, but as the company moves into the wearables industry with Apple Watch, consumers may come to expect a certain level of waterproofing from its devices. Apple Watch itself was designed with at least a minimal level of splash resistance, as CEO Tim Cook recently revealed it can be worn in the shower. Apple's waterproofing patent application was first filed for in March 2014 and credits Nicholas G. Merz, Scott A. Myers, Gregory N. Stephens and Joseph C. Poole as its inventors.